Before we move on to the next music composition technique in our suspense-building arsenal, I'd like to briefly revisit a video game project we discussed in our last article; the popular Dragon Front VR game for the Oculus Rift, developed by High Voltage Software. As we mentioned in the last article, the video game music I composed for Dragon Front included some creepy tone clusters and dissonant swells that were designed to keep the player on edge during gameplay. While these type of techniques can be powerfully effective, serving as top suspense-enhancing tools for video game composers, we have to be particularly cautious when it comes to music for a virtual reality project. Like all elements of a VR experience, music has the responsibility to help players remain at their most comfortable as they navigate the virtual world. So, while we can compose music that's great at creating a disturbing atmosphere, we have to be careful that we aren’t agitating players enough to exacerbate VIMS – visually induced motion sickness. The Drones of Dread technique is such an iconic tool of audio suspense that it has its own article on the TV Tropes website – that awesome compendium of techniques and concepts that have permeated popular culture. According to TV Tropes, a good suspenseful ‘drone of dread’ consists of “sustained, continuous sound," which is particularly effective if it uses infrasound, defined as "sound pitched so low that it's just barely above the human threshold of hearing." As we mentioned before, infrasound has the ability to make listeners nervous and physically uncomfortable. In the journal Science, engineer and audio researcher Vic Tandy tells us that "infrasound triggers the body’s fight-or-flight response." Tandy has investigated the role that infrasound may play in creating the physical symptoms associated with places that are supposedly haunted by ghostly apparitions. As a part of his research, Tandy has observed a correlation between low frequency vibrations and the psychological unease associated with hauntings, along with such physical symptoms as hair rising on the back of the neck, the notorious drop in body temperature, and even some shimmering visual effects (caused by low frequencies vibrating the eyeball). So, if low frequencies can bring about such dramatic physical and psychological reactions, how can we game composers employ low drones to instill the same kind of nervous energy in our compositions? This concludes part four of this five part series based on my GDC 2017 talk, "Homefront to God of War: Using Music to Build Suspense." In part five we'll wrap up this discussion by tackling the "Semi-Silence" technique, including examples of my music from The Da Vinci Code and Homefront: The Revolution video games. In the meantime, please feel free to share your thoughts in the comments section below! 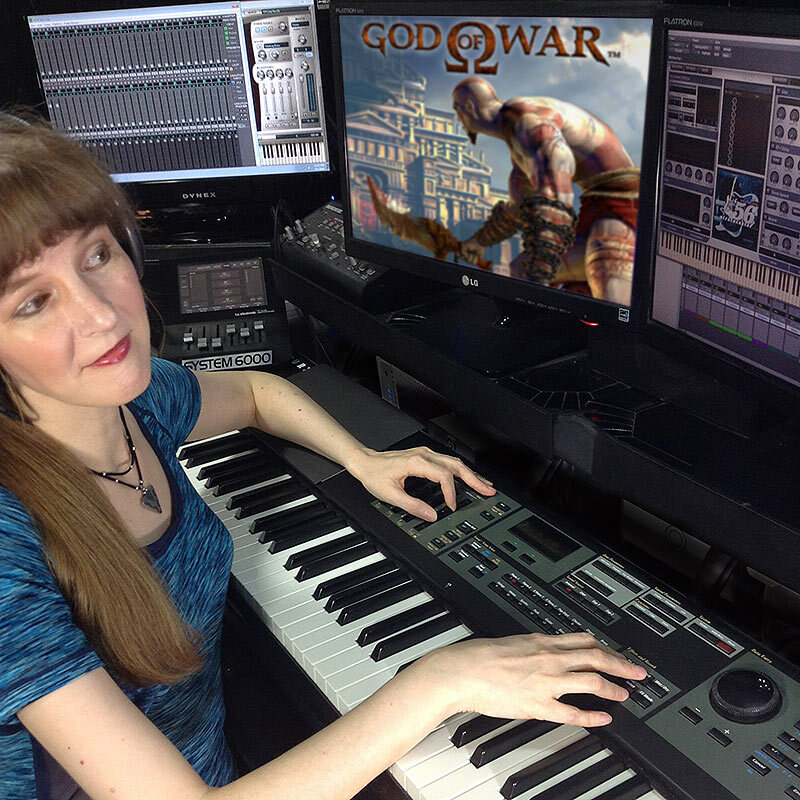 Winifred Phillips is an award-winning video game music composer whose most recent project is the triple-A first person shooter Homefront: The Revolution and the Dragon Front game for virtual reality. Her credits include five of the most famous and popular franchises in gaming: Assassin’s Creed, LittleBigPlanet, Total War, God of War, and The Sims. She is the author of the award-winning bestseller A COMPOSER'S GUIDE TO GAME MUSIC, published by the MIT Press. As a VR game music expert, she writes frequently on the future of music in virtual reality games.